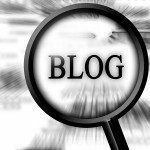 MLM Leads: What Is So CRITICAL About Having A Blog For Your Business? Owning and operating a blog is arguably the most important online component to a successful strategy for your network marekting business in working to build relationships with your niche and establishing the means for a long term relationship. This article fills in a critical piece of the puzzle to any online marketing strategy. Your blog is the one place that you can deliver anything you want to bring your brand’s promise to life exactly as you want it to be revealed to your best prospects and leads. Your blog is the #1 place for your to refer all prospects and convert them into leads and ultimately clients. This is not your one-page site from corporate representing your business. This is a relationship management hub for your network marketing business. To make one point very clear, we are not recommending that you blog (constantly writing new articles). Your blog will contain just enough content and offers as needed to build your reputation, establish credibility and build trust among your target market niche. Your blog is simply a website, with a few more bells and whistles. But as you will see as you read on in this article, your blog will soon become the HUB OF YOUR BUSINESS. Social media networks like Facebook, Instagram or Twitter among others, are invaluable when it comes to building your brand. But each of these social networks are owned and operated by someone else; meaning that they can change and enforce rules on how you are allowed to represent your brand and distribute your content whenever they like, and you must adhere to these rules if you want to use these platforms! With a blog, you can have 100% ownership and control over all content. This means that you can arrange and distribute content exactly as you want it to be represented to your niche market. Having complete control and ownership over your brand’s message isn’t the only major perk to having a blog. Your blog will also serve as a central hub for all of your social media marketing activities. Regardless of what target niche you are focusing on, you can’t afford not to have a blog! The benefits are enormous. An active blog will serve as the #1 place to refer prospects and existing clients when you are talking about your business. It is the one place where all of your best landing pages with offers, content and answers to top questions reside. The blog will contain listings of important events, your social network links, calls-to-action, reviews, success from your niche and so much more, all expressed exactly how you want them to be! Unlike a static website or the limited opportunity to tell your full story on the social networks (within their rules), your blog will display your ongoing support of your target market niche and give you the chance to create and maintain relationships like no where else. No matter where people first come in contact with you online or off, they should always be given the opportunity to visit your blog! Blog visitors can also be turned into custom Facebook advertising audiences where you can create even more opportunities to establish relationships. This Facebook custom audience can be used for what is known as re-marketing in the industry! If someone has come to your blog and not converted into a lead by filling out one of your forms (for a valued offer that you created just for your target niche), then you are missing a great opportunity to re-market to one of the most highly qualified prospects ever. Most people don’t take advantage of offers the very first time anyways! But they have come to your blog from your social media posts, low-cost Facebook ads, your online lead generation/prospecting efforts, etc. This action alone makes them one of the most qualified prospects you can find since they came looking for YOUR content or offers! We would hate for you to loose the opportunity to reach this prospect again, simply because they came and didn’t take advantage of one of your offers (filling out a form) right then, giving you their email address! But how else would you have a way to contact them again if not for a Facebook custom audience that can be used for low-cost ads/promotions/sharing. This is another incredibly powerful reason that a blog is a must for any Direct Seller! If you want to increase your number of highly targeted leads and keep existing customers/team members more loyal, then creating a blog for your business is a great place to start! It doesn’t need to be something that you have to add content to every day, but contain enough content that your niche sees you as credible and somebody that they’d like to stay connected to. Unlike a static website that just tells viewers a little bit about you, your blog will display your ongoing support of your target market and give you the chance to create and maintain relationships like never before! I have wanted a blog for a long time. This will be great! and, team members contact information.